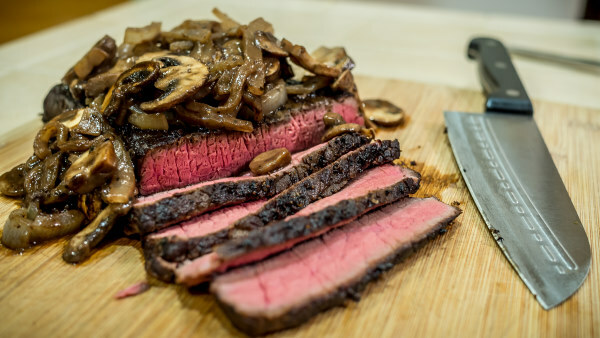 Take your culinary skills to the next level with Sous Vide cooking just like the high end steak houses. 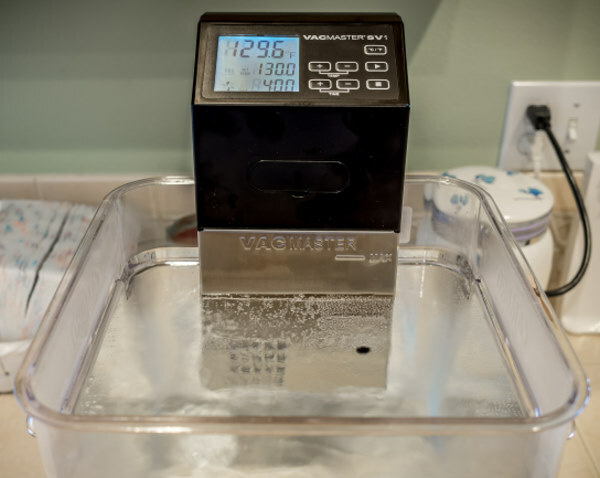 This review covers the VacMaster SV1 immersion circulator the Vacuum Sealers Unlimited services. Before I get into the operation and function of the Vacmaster SV1 let me answer a couple questions most folks initially ask. Accurately put, Sous Vide is French for "under vacuum". 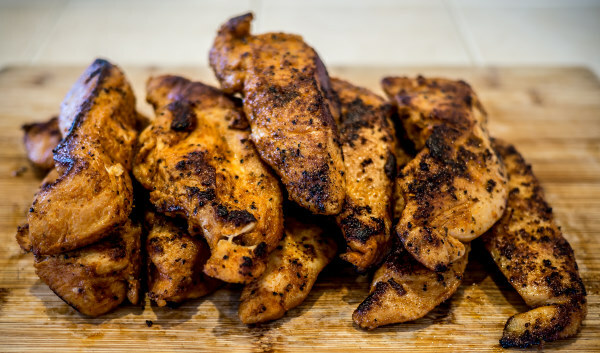 Cooking under vacuum has significantly grown in popularity for the simple reasons that it provide consistent results, enhanced flavor and amazing tenderness. This require a heat transfer method which water bath has become the most used method. There are a couple types of Sous Vide water bath heat transfer device type. Self Contained Units - Self contained units are quite with little evaporation but are limited in the amount one can cook due to their vessel size. Immersion Circulators - The Immersion circulators provide greater flexability as they are more portable, easier to store and can be fitted to vessels from small to large. How much water they can heat is limited to the heaters wattage specs. Most are rated around 1000 - 1200 watts for up to 5 gallons of water. 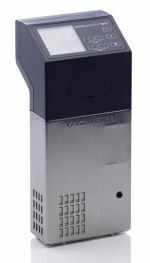 The Vacmaster SV1 has a 1500 watt heater and is rated for up to 8 gallons of water. The immersion circulators you will require a vessel to hold the water and preferably a lid. This can be any large pot or in most cases folks buy Polycarbonate storage containers and lids off of Amazon. Now that we understand how the cooking process works and what types of devices are available, I will proceed with my choice in Sous Vide cooking tools. 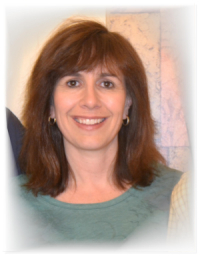 I stared my endeavor with a self contained unit. 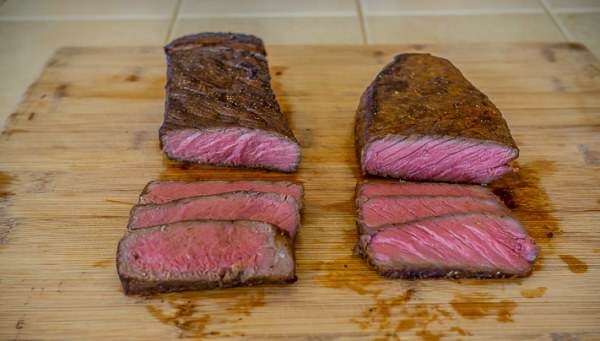 I quickly found that Sous Vide was an incredible way to cook as it was easy and produced constantly and perfectly done food every time. I want medium rare and I get medium rare edge to edge every time. I also found that the self contained unit had limitations on how much I could cook at one time. This got me looking into immersion circulators in general. After allot of research I decided to go with a more commercial type unit. 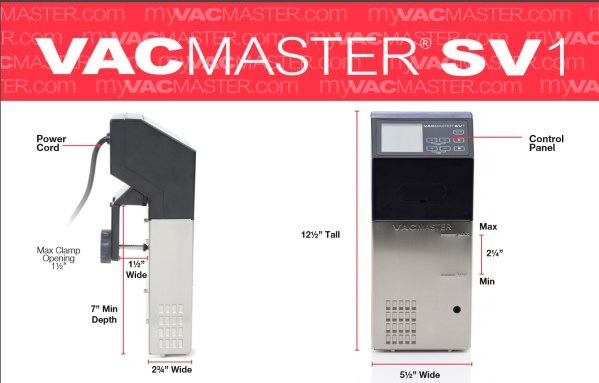 I have had great experiences with Vacmaster products and decided on the Vacmaster Sv1. It didn't have Bluetooth or Wi-Fi capabilities like other popular brands. That said, to be honest I just don't see myself pulling my phone out of my pocket to set, change or check my temp. When using these things you have to know your temp and cook time. You set it and walk away for hours. If I know my temp and time I won't be changing it unless I just like to fiddle with things. I don't need my cell phone or PC for that. I would rather invest in a unit that is accurate at holding temp and has a high wattage heater and can handle small jobs to larger jobs (8 gallons). In view of this the Vacmaster SV1 stood out of the pack. I found the Vacmaster SV1 to be extremely well built and super easy to operate. The lower unit is stainless steel for easy cleanup. The unit is portable and easily storeable in your pantry or kitchen drawer. Simply retrieve the ubit fron your pantry, clamp the unit onto a vessel of and fill to the correct level clearly marked on the front of the SV1. Plug in the unit then turn the power switch on the rear of the unit to the "On" position. The LED panel will turn on and display the water temp and timer as well as a heating icon and a circulation icon. I found the controls to be very intuitive and easy to read. There is power button on the rear of the unit to turn it on or off. On the front panel, a button to change from Celsius to Fahrenheit. There are two sets of buttons one for temp up/down and time up/down. The time is displayed in hours and minutes with a max of 99 hours (hh:mm). Allot of people have misunderstood the display to read minutes and seconds (mm:ss) and have complained that it only goes up to 99 minutes (99:00). This is not the case its hours and minutes (hh:mm). Two hours and 30 minutes is display as 2:30. Once you set your temp and time you simply push the start button. Once the water comes up to temp you will hear a series of beeps. This is indicating to you its time to cook and you then push the start button a second time to start the timer count down. This is where allot of folks have not read the manual and missed this step. They complain about the unit beeping all through their cook. All they had to do was push the start button and the beeping stops and the timer begins counting down. I found the controls and setting functions to be very simple and intuitive. This is where I will reiterate for me wanting to do any of this from my phone is just not something I would even do if I had the capability. Some will have a difference in opinion on this subject as they are compelled to do as much via their phone apps even if its non value added. For those folk I say knock yourselves out. by a unit that makes you happy. Now that we have the SV1 cooking away you simply walk away. I constantly checked mine during the first 143 F degree test cook and found the temperature fluctuation to be between 142.7 F to 143.0 F. Surprisingly to me it never went above the 143.0 degree F set point. I also found the unit to be very quite. Some of the immersion circulators on the market have been reviewed by others to be are a bit noisy. This is not the case with the Vacmaster SV1. While the cook is under way the display shows an icon of a fan turning indicating the circulator is running and water is being circulated thru ought the vessel to maintain a very even temperature. As the heater cycles on and off to maintain a perfect temperature the display will show a heating icon that appears as the heater is heating and the icon disappears when its not heating. I found the display to be very easy to read as the information is presented in a nice layout and adequately sized so that all information can be read with a simple brief glance. At the end of the cook the unit makes a series of beeps that sound every once in a while letting you know the cook is complete. At this point you simply press the stop button to end the cook and retrieve your food from the water vessel. Submersed in a 16 quart Polycarbonate container. One thing I was curious about was what happens upon sudden loss off power. We sometimes get short power outages or power bumps. So I decided to pull the power plug mid stream in a test cook. The unit powered down, Upon plugging the unit back in it startup with the circulator churning and the unit was still in cook mode retaining all of the settings at the time of power loss. This to me is a nice feature. I have another unit that does not do this. If that cooker loses power its all over. 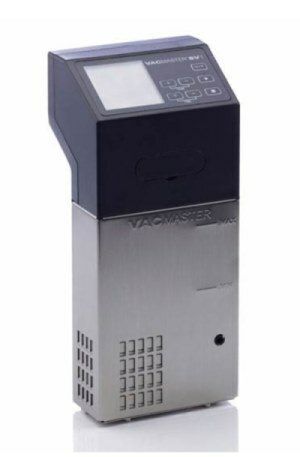 I find the Vacmaster SV1 very impressive as was the service from Lisa Bilotta from Vacuum Sealers Unlimited. I received same day service and my Vacmaster SV1 was shipped from the manufacturer to my door step arriving very well packaged and within 4 days. I have been ordering vacuum bags and supplies from vacuum sealers unlimited for years now and I have grown to really appreciate the great service and fast shipping. 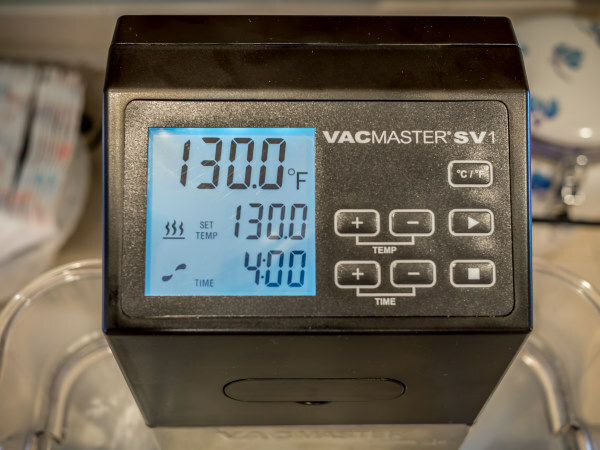 If your looking for a Sous Vide device to help take your culinary experience to a professional level, I highly recommend the Vacmaster SV1 immersion circulator and Vacuum Sealers Unlimited as your supplier. The following are reasons I chose to cook with the Vacmaster SV1. Quiet pump that circulates 1.9 gallons per minute for even heating. Costs less than other units with like heater rating and capacity capabilities. Vacmaster is known for its commercial build quality and dependability over time. I highly recommend Vacuum Sealers Unlimited for your Vacmaster Sous Vide, vacuum sealers, bags & accessories?